We fly year round, Please call us for off-season flights. 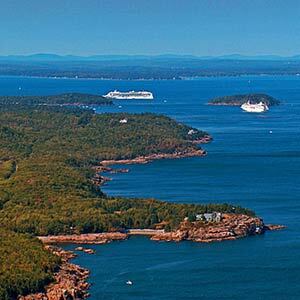 See Bar Harbor and Acadia National Park the Best Way, “From Above”. With Scenic Flights of Acadia, you will gain a unique perspective of Bar Harbor, coastal Lighthouses, Acadia National Park, Cadillac Mountain and more. 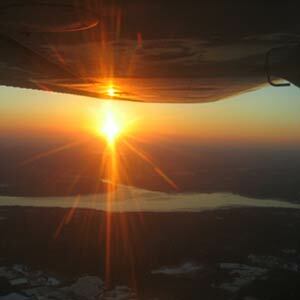 This flight is a great introduction to Downeast Maine from above. 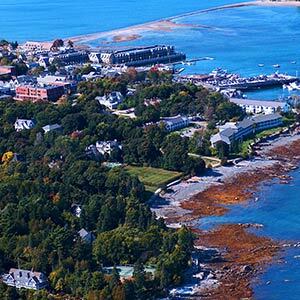 Your tour passes the town of Bar Harbor then heads east over the Porcupine Islands to Gouldsboro and follows along the beautiful harbors on the mainland. 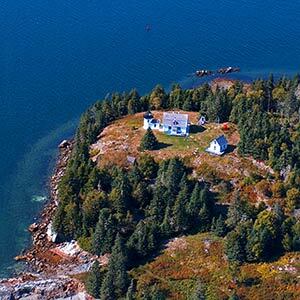 This picturesque flight brings you towards Downeast Maine, flying by Hulls Cove, Bar Harbor, Sand Beach, Egg Rock Lighthouse on to Winter Harbor and its lighthouse with spectacular views of Schoodic Point, Frenchman Bay and inlets. You will enjoy fantastic views of the whole Mount Desert Island on this popular flight as it flies around the entire perimeter shoreline, highlighting Bar Harbor, Cadillac Mountain, Northeast Harbor, Southwest Harbor, Bass Harbor and more! 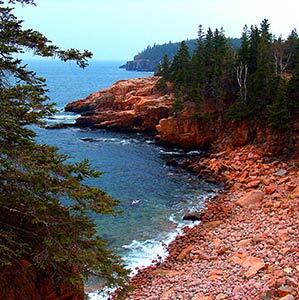 Along with the beauty of the All Acadia tour of Mount Desert Island, this flight will head off shore to capture the stunning views of Schoodic Point to the east, Baker Island and the Cranberry Islands to the south and the Blue Hill area to the west. This ultimate excursion will offer you stunning views of areas that few visitors witness. Enjoy the natural beauty of the Maine coast while savoring some of Maine’s best Lighthouses, shorelines and islands. This all-inclusive exclusive tour provides transportation to and from your Cruise Ship or Hotel to the Bar Harbor Airport and return. 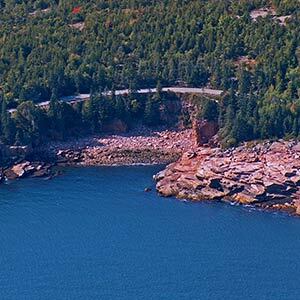 Providing fantastic views of Acadia National Park as well as several coastal Lighthouses, views only seen from above. For those who want to see an area not in our standard tours, we can provide a customized aerial photography flight. Experience the thrill of flying first-hand as you take control of a Cessna 172 Aircraft with an FAA Certified Flight Instructor by your side. In addition to your flight, you will receive a ground-briefing with your Instructor, plus a certificate commemorating your flight lesson. Please call one of our tour specialists for gift certificates or gift card at 207-667-6527 or you can click the button below to purchase a gift card. With Scenic Flights of Acadia, you will gain a unique perspective of Bar Harbor, coastal lighthouses, Acadia National Park, Cadillac Mountain, Somes Sound and more. Call today 207-667-6527 to book one of our popular flights over the phone or go to our Reservations page to start your adventure. Enjoy flying with Scenic Flights of Acadia, a Maine vacation tradition for generations, and sailing with Downeast Windjammers on a legendary Schooner. 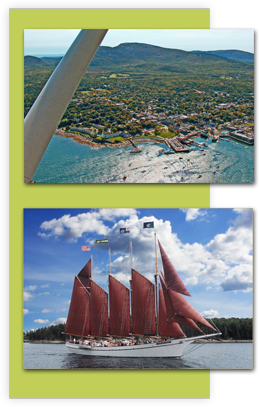 Experience the spectacular views of the Downeast Coast from the sea and air as you take a leisurely sail on the Schooner’s spacious decks, and enjoy a magical flight around the island with a professional pilot who offers an unforgettable personal tour of the area. We are sure this will be a highlight of your vacation!